Credo X Gang is a weekend retreat program for x-gang members who want to make an impact on other x-gang members or wannabes for good. The basis of the program is to address the core issues that cause young people to join gangs in the first place... the desire for belonging, acceptance and family. X-gangbangers tell how they've found the power to go against the flow and x-change their old lives for new ones. 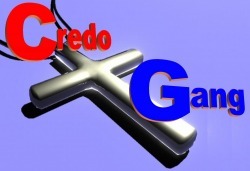 Credo X Gang is one of the many ministries birthed from the Cursillo/Kairos Movement. Credo means "they came to believe." Credo X Gang reaches young men and women with the hope filled message of a life x-changed. Credo X Gang teaches young men and women who have lost hope that there is a positive life altering alternative to destruction. There is nothing soft or sissy about being an X Gang member. Credo X Gang is open to all over 18 years old who want out! !